Momo Bench (MOMO) at Pure Design / Seating / Benches ::: Furniture for the Home, Office, Home Office, and More at Pure Design Online! Momo means peach in Japanese, but is also used as a character's name in children's books. 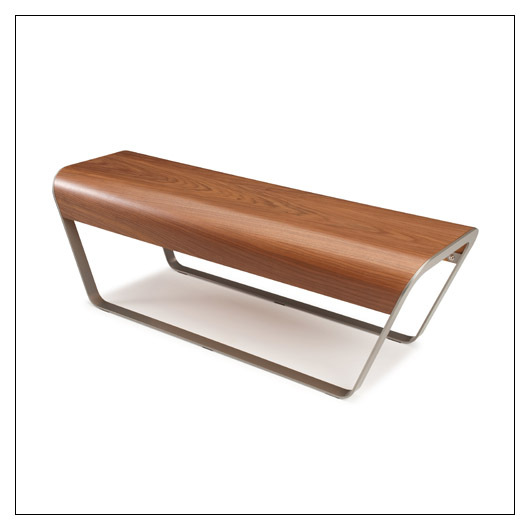 The strongest point in the bench's design is the harmony and simplicity it shows; it is shaped but not ornamented. Designed in 2002, the same year Kyoko + Sveje won the Pure Design award / Idee design competition for this product. Molded plywood with Walnut or Birch veneer and formed steel legs.